Time has finally come to make babies a priority! The first few years lay the foundation for the rest of a child’s life. A baby's brain grows faster during these years than any other time, reaching 85 percent of their adult size by age 3. The lessons young children learn from their environments have a lifelong impact, affecting everything from life expectancy to earning potential. and strong physical health and nutrition. Our first rally for babies was a success! 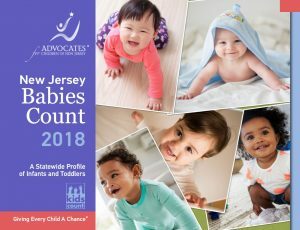 On May 21st, Advocates and families from across NJ strolled in front of the State House to let Governor Murphy and the Legislature know it’s time to make our youngest children a higher state priority. We want them to #ThinkBabies when they are making decisions. Learn more about the event, view pictures and news coverage.